An Investor’s Business Daily commentary describes how new EPA greenhouse gas regulations will undermine our access to new supplies of fossil fuels and threaten economic growth. Years ago, President Jimmy Carter wanted Americans to voluntarily change their energy consumption habits by using less, based on the view that we were “running out” of oil and natural gas. That view was proven wrong. New advances in technology are giving us access to huge domestic fossil fuel supplies which has the potential to make the U.S. energy independent. Unfortunately, President Barack Obama’s heavy handed command and control energy policy is going to force an involuntary reduction in energy use resulting in economic harm. Some things are certain, though. Any significant reduction in GHG emissions requires a significant reduction in the use of fossil fuels — a self-imposed energy supply shock. Energy supply shocks create painful economic damage whose timing would be particularly bad due to the already fragile U.S. economy. 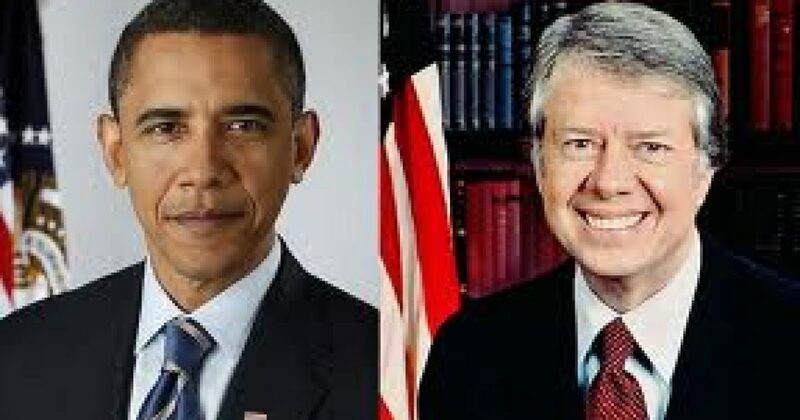 Hard to believe but Obama is actually making Carter look good.